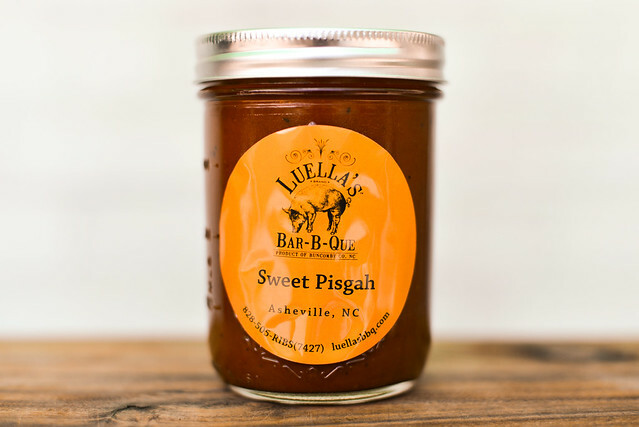 A slight sweetness and even split between mustard and tomato give Luella's Bar-B-Que Sweet Pisgah a unique character that spans multiple regional styles. Starting up this sauce review column has been great for many reasons, but one that I like in particular is that my Mother's travels have ceased to "reward" me with the novelty t-shirts that form the basis of my bed wear, and instead have resulted in a trickle of new sauces from everywhere she goes in the U.S. 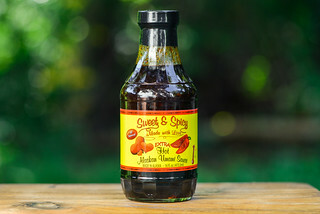 The latest gift from my Mom was this bottle of Luella's Bar-B-Que Sweet Pisgah from a recent trip down to Asheville, NC. Luella's Bar-B-Que was started by Jeff Miller, who hails from Iowa, a state where he found no affinity with the local barbecue. In the early 90s, he moved from out West to North Carolina, settling in the Durham area. Through frequent trips to Eastern North Carolina barbecue institutions, he learned the styles and methods of this historic cuisine. He took up residence in Asheville after a visit and noticing the town had no barbecue restaurant to call their own. He then opened Luella's in 2007, mixing some North Carolina tradition with a uniquely Asheville vibe and sensibility. 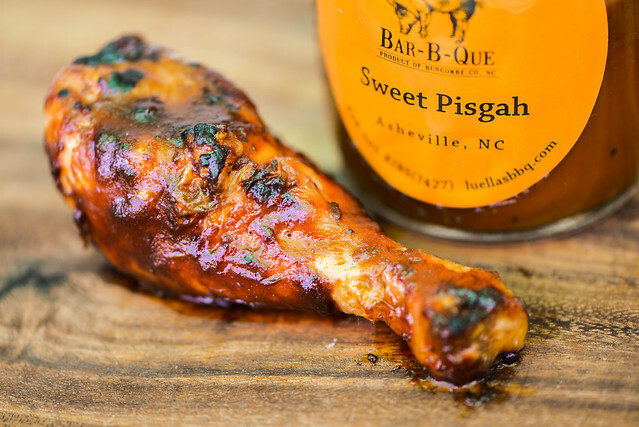 Sweet Pisgah has a very mellow aroma, one of a sweetened mustard with an equal hit of tomato ketchup. There's a bit of vinegar in there as well, but it's lighter than the average sauce. It's a smooth and pleasing aroma, a nice subdued smell compared to so many in-your-face sauces. This sauce has a rusty orange, slightly brownish hue that, while opaque, still allows you to see a spec of black pepper here and there. It's very smooth, but does have the occasional small piece of vegetable that adds a bit of texture. 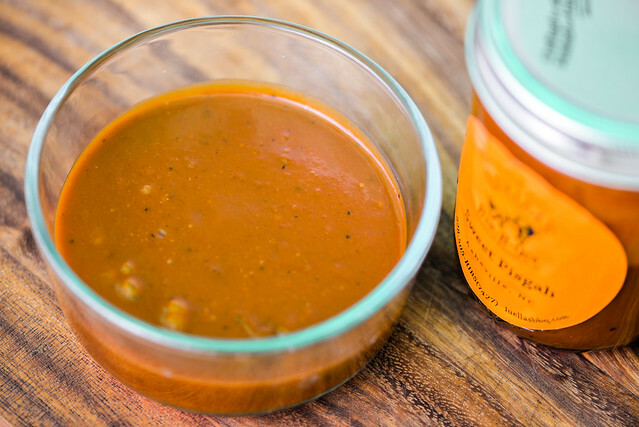 The sauce weighs in right at the mid point of the thickness scale, and when held from a suspended spoon, first flows off in a quick and steady stream, then slows to a few drips before stopping completely and leaving a heavy coating of sauce left clinging. The flavor starts off as a sweetened mustard, but not sugary sweet, just enough to take the bite and bitterness out. As the initial hit of mustard fades in the first few seconds, tomato can clearly be tasted and comes into an almost 50/50 balance with the mustard. Then the vinegar gives the sauce its light tanginess, and black pepper provides just a hint of heat that gets gradually stronger as the sweetness fades. The final taste, after the sauce has left the tongue, is a little on the sour side. This sauce coated the chicken evenly and well, but it didn't bake down as much as many other sauces. Over direct heat it did get some nice caramelization with only tiny spots of attractive char. The flavor was still a pretty clear split between ketchup and mustard, but the sweetness was pumped up a bit and the vinegar backed down. I praise Luella's Bar-B-Que Sweet Pisgah for having a nice sweetness without falling into the common pitfall of sugar overload. The pretty even split between mustard and tomato is not something I've come across before, and is done quite well, giving this sauce a unique character. It covers a lot of flavor bases—sweet, fruity, pungent, peppery, and tangy—and I can see this having a pretty wide appeal. 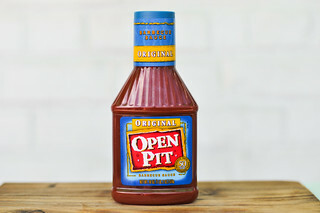 The sauce did pretty well on the grill with the chicken, but I'd prefer it slathered on a pile of pulled pork whose smoky flavor would go really well with the mustard and vinegar that this sauce delivers. I'll pick some up when I'm in Franklin in a few weeks for the KCBS event. Please start selling online! 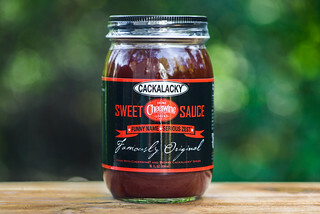 I live in CT and can't drive down to Asheville just to get your wonderful sauce (although I seriously thought about it)!